These two girls are onto something, they are behind the lovely restaurant Dimes - by far my favorite place to eat in New York. If I had to choose one place where I had to eat everyday, it would undoubtedly be Dimes. Sabrina and Alissa, long time best friends, dreamt up Dimes while traveling around Patagonia. They felt a lack in the market and decided to open up their ideal restaurant that served healthy but really tasty food, something that was missing in their neighborhood, the Lower East Side. Dimes successfully combines delicious organic, local and seasonal food with a cool crowd in a cute and charming atmosphere. Passion, care and love is infused into every corner of this small place, from the light bulbs, the tiles, to the little apothecary corner where you can find beauty products hand made by the girls themselves, with the best ingredients only, of course :) The menu is fresh, seasonal and quite innovative. unlike other health food restaurants, they created a very flavorful menu of healthy food that is really exciting. A delight for the palette, and the body. This is the kind of place you can take healthies and non-healthies alike. The food is soooo good that everyone will be satisfied here. They serve breakfast, lunch and dinner and you can find dishes to suit vegetarians and omnivores alike. They have done so well that they are now expanding to a larger place, and turning the current restaurant into a little market where they will sell produce, take away food and other products. Be sure to check it out and stay in tune for the new place because this restaurant is a true gem! 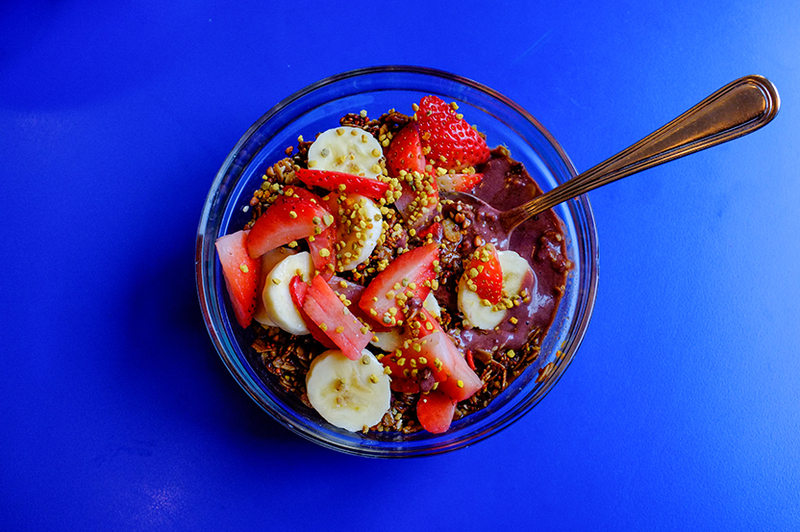 Acai with goji granola, strawberry, banana, house-made almond milk and bee pollen.